Mylan, a giant generic drugmaker headquartered in Canonsburg, Pennsylvania, that took a bashing in 2016 for steeply raising the price of its EpiPen that treats severe allergic reactions, has now flipped the tables and is arguing that the United States is wasting billions of dollars on name brand anti-HIV drugs instead of its cheaper alternatives. At the International AIDS Conference in Amsterdam last week, Mylan CEO Heather Bresch noted that 90% of the dispensed drugs in the United States are generics. But for antiretrovirals (ARVs) that treat HIV infection, Bresch says, “You’re looking at 0% utilization.” Mylan says it is the world’s largest supplier of ARV drugs, but that entire business is outside of the United States. In February, Mylan received approval from the U.S. Food and Drug Administration for two products that provide novel combinations of popular ARVs. (They are not technically “generics” because no one sells these specific coformulations.) Bresch claims they could knock down the country’s cost of treating an HIV-infected person—now $35,000 a year, according to what’s known as the average wholesale price—by at least 20%. Others say the issue is far more complicated. Bresch attended the conference with Anil Soni, Mylan’s head of global infectious diseases. Soni was previously CEO of the Clinton Health Access Initiative, which brokered steep discounts on ARVs for poor countries. (They only pay about $100 to treat a person for 1 year.) “HIV is a huge source of spend,” says Soni, noting that ARVs are a $20 billion market in the United States. He says it’s “really ironic” that cheaper ARVs “are going nowhere in the United States” given that the U.S. government has provided more funding than any country for supplying inexpensive versions of these drugs to poor countries. Mylan, which was pilloried in the media and at a congressional hearing for raising the price of the EpiPen from about $100 to $600 between 2009 and 2016, is a surprising voice to be railing against the high cost of medicines. Bresch, who took her fair share of arrows during the EpiPen debacle, acknowledges she might be perceived as trying to resuscitate the company’s image—and she strongly rejects the notion. “This isn’t a campaign,” says Bresch, who insists the EpiPen flap had more to do with insurance changes that led to higher co-pays than to company greed. 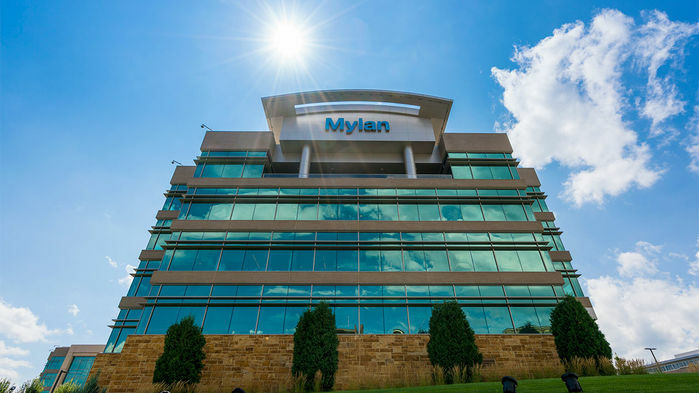 Mylan, she stresses, formed in 1961 to sell a more affordable penicillin because of concerns about patients being “gouged,” and the company now sells more than 7000 different medicines at an average dose price of $0.25. Tim Horn, who chairs the activist-led Fair Pricing Coalition, says the EpiPen tarnishing of Mylan was “partially unfair.” Much of the spoils of price hikes go to pharmacies and other middlemen, he notes, and the company also got lumped together with Martin Shkreli of Turing Pharmaceuticals, which after acquiring an off-patent antiparasitic drug hiked the price from $13.50 to $750. (Shkreli was convicted of unrelated securities fraud and is in prison.) And Horn applauds Mylan for trying to shake up the pricing of ARVs in the United States. “I think they’re the good guys,” says Horn, who directs the medication access and pricing program at the Washington, D.C.–based National Alliance of State and Territorial AIDS Directors. Mylan sells this pill, which combines three antiretroviral drugs, for far less than the brand name drugs. Yet Horn stresses that Mylan’s arguments sidestep many nuances. For one, he thinks Mylan’s U.S. pricing for its ARVs is still too high. “They’re cheaper, but they could be much cheaper.” And he says because the United States has such a complex patchwork of public and private payers for medication—which is especially true with ARVs because of the federal Ryan White Comprehensive AIDS Resources Emergency Act that offers additional coverage for low-income people—there’s limited demand for cheaper products. The United Kingdom’s National Health Service, by comparison, which covers everyone and bulk purchases medication, spends less than $8000 per year on ARVs to treat each HIV-infected person. On the patient front, copays for ARVs for almost everyone are extremely low, so this famously noisy advocacy community has been quiet. “The high price of prescription drugs is rarely felt by the patient,” Horn says. He also notes that many low-income clinics and hospitals pay for their HIV/AIDS services through an unusual federal program that, in what amounts to a rebate, funnels money to them from the makers of the expensive ARVs.